While no one was looking, Kiran Ahluwalia knocked down doors and took the breath of audiences away in Europe and the United States of America and Canada. Why then is this phenomenal artist such a well-kept secret? The world is certainly ready for her to sweep in and captivate it in its furthest corners; to be specific as far removed from the United States and the Western Sahara. Still she is yet to be “discovered” in the India of her birth, of whom she sings with such great love and longing, but it is probably only a matter of time before she reaches there from the shores of Western Europe and the United Kingdom. 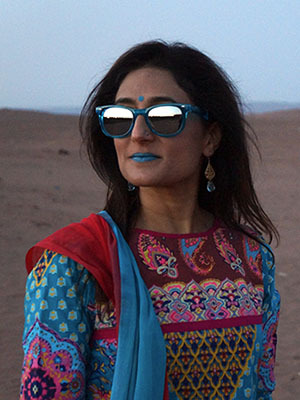 Kiran Ahluwalia is a chanteuse whose time has come, not only because the world is not a borderless place, but because she embodies all that is thrilling about living in this borderless world. 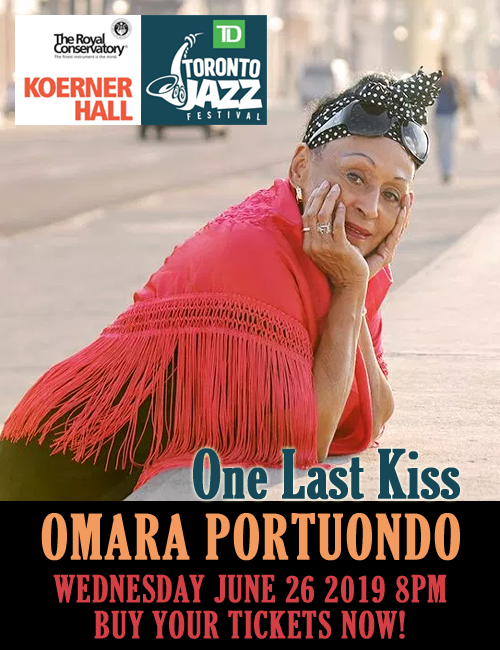 Her music is a molten mix, a magnificent collision of cultures: Indian, West African and American, reaching deep down to the ancient roots of the former two and then stirring it up with a devastatingly beautiful mix of contemporary Americana. Her vocal range is broad and although it is probably not appropriate to judge her work by Western standards, it is wholly true that she sings with exquisite Hindustani colouratura. Her motifs are like the filigreed work on Indian friezes and she reaches dizzying heights with her glorious melismas. She adorns musical phrases with her own spatial geometry that sometimes defies the anchoring of sonic architecture, which, in her own sub-continental sub-text, must be rooted in a prescribed anchoring phraseology. Thus Ms. Ahluwalia breaks rules and permeates the restricting boundaries that, once in Mughal India under the Emperor Akbar never existed. Her floating style carried her to Sub-Saharan Africa, where in the rhythm of the desert she seems to pierce through the brutal heat and dust to create beautiful sonic images, carrying these on her lissom shoulders, she fuses it all into the idiom of contemporary western song. This once again, is turned into her own magnificent metaphor of unbridled ingenuity that puts her in a class all her own. Ms. Ahluwalia wakes early and is well-prepared for the questions that I pepper her with. Her manner is easy and she is charming. Who knows how many have trodden the path I chose to lead her into? Thus I take another route, choosing instead to avoid questions of race, sexual and political discriminations that continue to plague the sub-continent. Somehow these have no place in her borderless musical world. Almost all of her music suggests that. She is proud of that fact but I force her to consider it in the context of her latest album, Sanata: Stillness. The album will have its North American release on October 3rd at Koerner Hall in Toronto, Canada. She is ecstatic, she says, in a voice filled with emotion and I can tell she means it. Toronto is where this leg of her musical journey began; where her career began to unfold. Ms. Ahluwalia is classically-trained but never made a singing career out of it. She has not cut a classical album, but her decade-long on-again, off-again intermingling of her intrepid brand of music and classical Hindustani music continued until she found her voice. 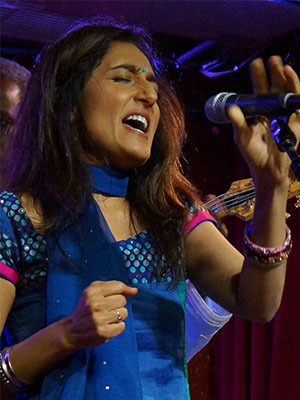 Now she is firmly established in a singular voice that is informed by Hindustani music, awash with blues music of the Tuareg of Western Sahara, and then there the all-pervasive influence of the inflections of her husband and producing partner, Rez Abbasi. I am, however, intrigued by two aspects of this wonderful album: the idiom of the Ghazal, a form setting poetry to music and Qawwali which is based on the ecstatic Sufi music and which explores the relationship between man and woman with the Divine. Both are written in one of two classical languages of the sub-continent: Urdu. She explains: “This is at the heart of my craft. I have always been fascinated with the Ghazal and can remember singing some of the songs I heard when I was younger as if they were mine.” In a sense she probably dreamed of making the idiom her own and she has as her repertoire stands six albums deep. I am curious and not aware of my ignorance. I ask how she manages to “live” in a world dominated by the men of the sub-continent. She immediately corrects my misconception. “Dominated,” she says, “perhaps, but not controlled,” she warns me, just in case I will pursue this line of questioning. Then softening, she tells me how there have been several women who have sung Ghazals and Qawwalis with the best of the men. Ms. Ahluwalia recalled how she remembers attending concert “muqqablas” (the Urdu word for “duel”) a kind of cutting contest in the jazz world. This one was between a great Pakistani Qawwali singer named Qatil Bhanu, who “threw Urdu couplets” at her opponent, a man, who taunted her in turn, but “throwing couplets” back at her. This act of “throwing” couplets—the poetry of Urdu Qawwalis and Ghazals songs is written in Urdu couplets—pairs of sometimes rhyming and sometimes AB lines—is almost the same as when two jazz musicians play phrases aiming them like arrows at another player, who may be a saxophonist, or trumpeter just like the other. Ms. Ahluwalia told me how this contest got more heated as the challenge was to produce finer rhymes with more potent meanings. The woman eventually won as Ms. Ahluwalia not only cheered, but video-taped the event and watched it over and over again. Could it be that this event was one of the defining moments in her desire to become a singer of Ghazals? I hesitate to ask, fascinated by the story that I too now begin to internalise and re-live. At any rate this has given rise to some of the wonderful repertoire on Sanata: Stillness. Particularly fascinating are two of the charts: “Tamana” and “Taskeen”. I ask her about each. “Tamana” is about the awakening of desire in a woman as she becomes aware and takes ownership of her body. The feelings expressed relate to pure physical desire when dealing with the relationship with a man and are bereft of the emotion as between man and wife. I imagine how hard this would be to sing out aloud of such desire. And I am in awe of the naked beauty of such a torch song. Ms. Ahluwalia tells me how she has written this song. It is about the liberating experience she believes all women feel when they become aware of their individual beings. This is particularly true of women who live in the traditional joint-families in India and Pakistan and have to deal with the demands of fathers and fathers-in-law, as well as husbands who are subservient to the elder generation in deference to the tradition that binds them. But it is not exclusive to the sub-continent as she is quick to point out. As an example Ms. Ahluwalia remembers a meet and greet that she did in Paris France to promote her record. In the small audience that filled the library in which the event was conducted were two French ladies about 60-or-so years of age and when she talked about the impulse of the song Ms. Ahluwalia remembers seeing the ladies nodding vigorously as if they “experienced” the lyrics of the song in the same meaningful way. “Taskeen” was different. Its music is composed around a poem written by the Pakistani-Canadian poet, Samina Tabassum, a young lady writing in Urdu in Toronto. The lyric poem is written in free verse, Ms. Ahluwalia explains and it was something of a challenge to write music around that kind of poetry, leaving the rhymes to the music instead of the lyric. Naturally Ms. Ahluwalia is proud of this song. I have to admit it is one of the two most captivating songs on the album. With my limited knowledge of the language, from associating with the poets Baqar Mehdi and Mansouri, decades ago, from whom I learned to appreciate Ghazals, I come to have a new and irreversible respect for Kiran Ahluwalia. It also comes as a surprise to me that although Ms. Ahluwalia’s music is widely distributed in Europe and North America it is almost non-existent in India where the music was born. Ms. Ahluwalia explains that her entire infrastructure is geared towards serving North America and it is only now that her British distributors are coveting a market in India which means that hopefully this recording will soon be available for distribution and sale in the sub-continent. 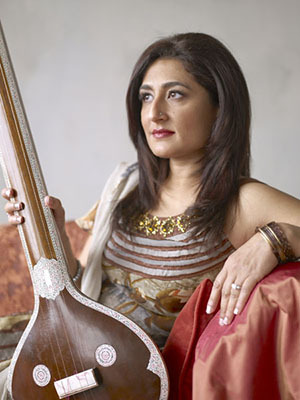 I ask of her husband, Rez Abbasi’s hand in the production and Ms. Ahluwalia is quick to point out that he played a large role in shaping the music on Sanata: Stillness. Mr. Abbasi is a celebrated guitarist with a burgeoning career of his own and several award-winning albums on the German label, Enja. He is the producer of Ms. Ahluwalia’s recording, on which he also plays guitar, replacing perhaps the sarod that would be played on a Hindustani classical album. Mr. Abbasi’s unique sound is eminently suited to this kind of music and he fills the recording with many memorable solos and lines that flow like interminable necklaces of notes. Mr. Abbasi also conjures up the Tuareg sound with his penchant for open stringed playing that seems to echo like a beautiful howl in the desert. 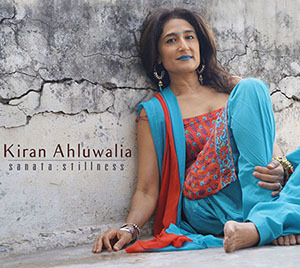 Then it is time to ring off with the sounds of the album echoing in my mind and I like many await Kiran Ahluwalia’s concert to launch the long-awaited album, Sanata: Stillness.